Suisun Valley Road is a less than imaginatively named road that runs through the heart of Suisun Valley. Ledgewood and the Blue Victorian sit on the road, whilst BackRoads and Vezer are on side-streets. 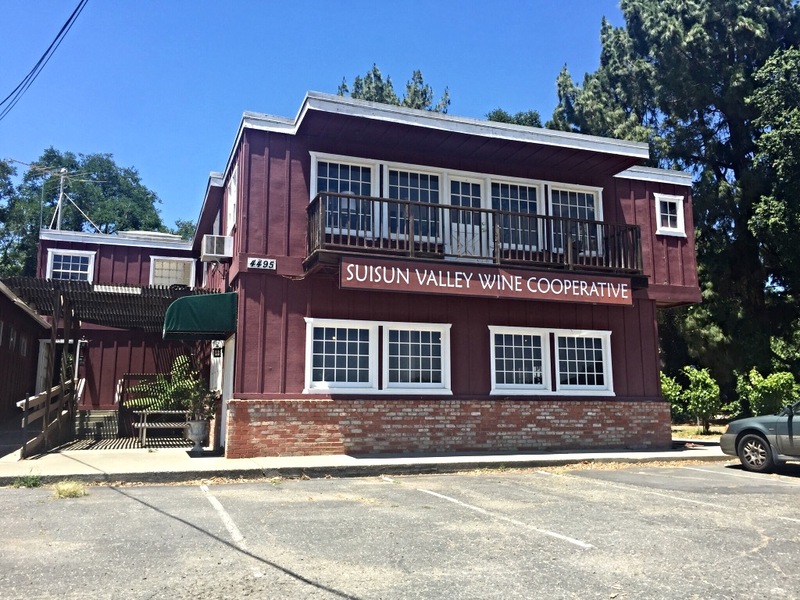 Closer to the freeway than any of those establishments is The Suisun Valley Wine Cooperative ; a tasting room shared by four local wineries: Sunset Cellars, Mangel Vineyards, King Andrews Vineyards, and Blacksmith. California Girl Comments: You might mistake this tasting room for a shack at the side of the road. That is exactly what it looks like. The interior space isn’t a whole lot better. I thought I heard chatter of them building a new tasting room, but that they are waiting on some permits. It is a shame, the wines do deserve a better home than they currently have. 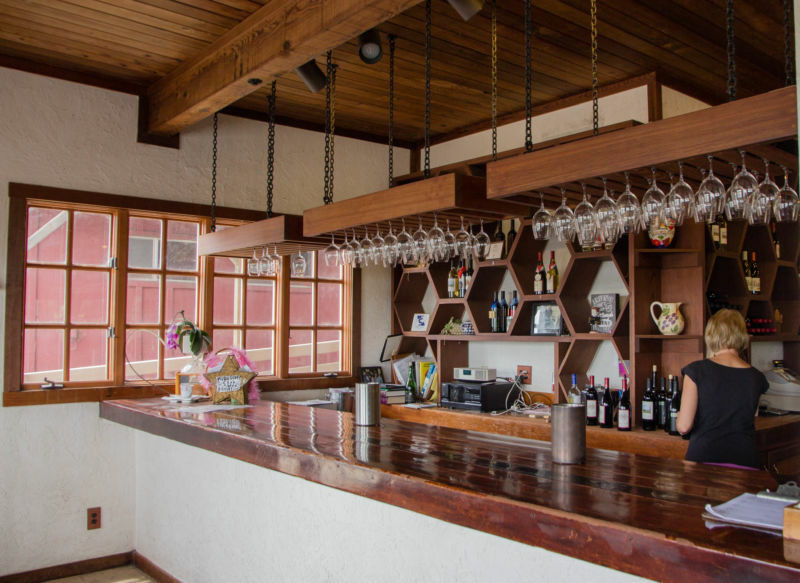 The tasting room has rustic charm, which is a polite way of agreeing with California Girl’s description of the building. The new venue that she mentions is for just one of the wineries, Mangels Vineyards, that has decided the time has come to have their own location. It will be a few hundred yards down Suisun Valley Road. Their current hope is that the permit issues will be resolved in time for them to open at the end of the summer. The glasses in which the wine was served have seen better days too. They all bear, or more accurately did bear, the logo of the tasting room. Time and frequent washing has left not a single glass with the pattern intact. 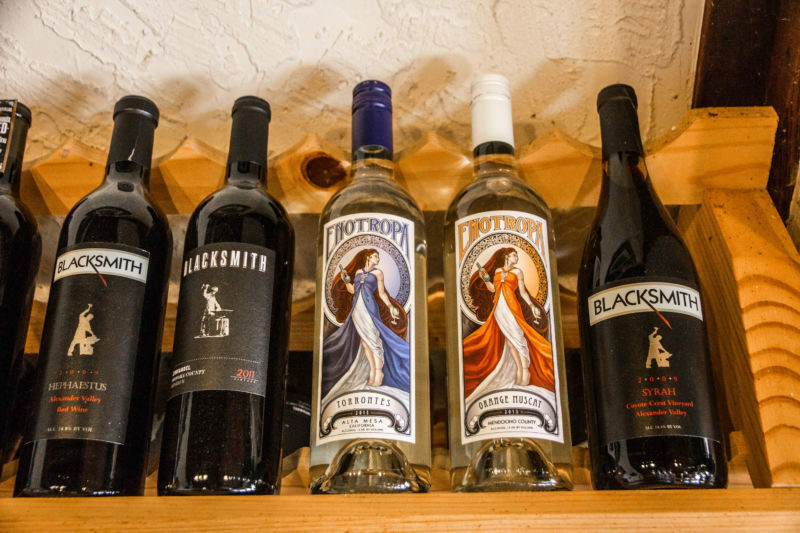 There is a $10 tasting fee that is waived if you purchase a bottle. This is more than reasonable, especially given the large number of wines on offer. Even with two of us tasting and each picking different wines, we managed less than half of the list. The price of the wines varies from $15 to $25, with the majority being under $20. We purchased four bottles and the total cost was under $75. We will describe the highlights of the tasting. California Girl Comments: I have to say that I liked this taste. 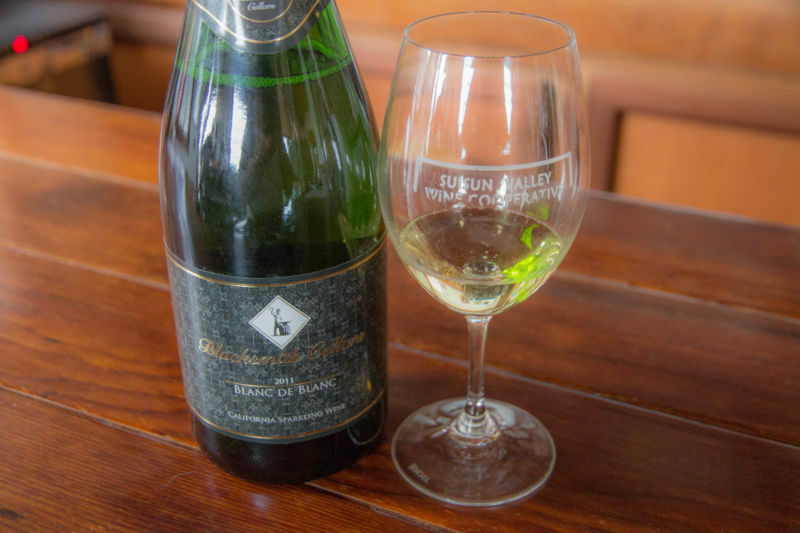 Not overly yeasty or sweet, I thought this was really a good sparkling wine, and much better than others I have tasted in the Napa and Sonoma areas for a much higher cost. However, Domaine Carneros is still the winner on this one. This is the first time I have seen this grape in a California wine. The nose was a combination of moss with a hint of pear. 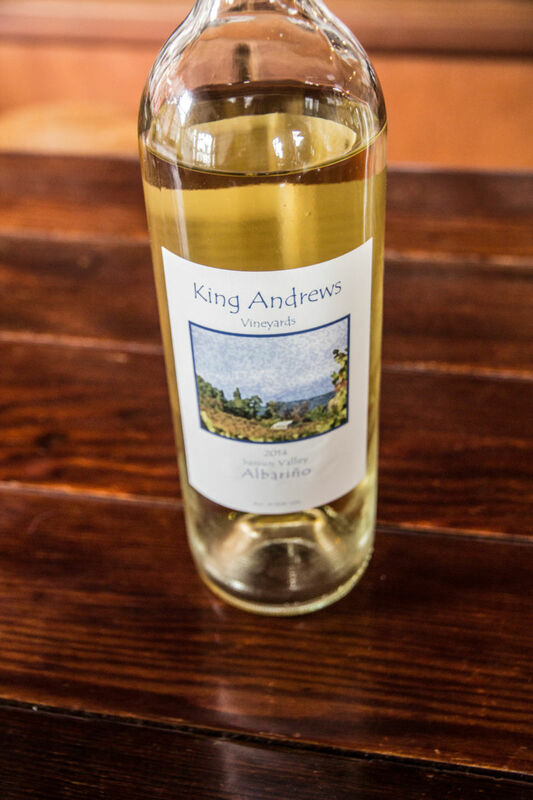 A white wine with low acidity, slightly sweet, and a soft combination of citrus and apple. It had plenty of flavor and would be an excellent summer sip. I am sure we would have purchased some bottles, were it not for the next white wine. California Girl Comments: Agreed, this was a good wine and priced right, but the Entropy was better. An even more unusual grape; I have had Albariño before, but this was the first time that I heard of Torrontes. (Neither has my spellcheck that is correcting the name to torrents each time I type it.) I have since found it is generally thought of as an Argentinian grape. It was one of several wines made locally with grapes from other parts of California. The nose was of apricots and apples which suggested that the wine would be sweet. The pale yellow wine had low acidity and a wonderfully complex melange of fruit without the expected sweetness. We love this, purchased two bottles, one of which we have already drunk. We shall be back, I am sure, to buy more of this gem. California Girl Comments: I really liked this wine. Lots of fruits and a floral finish make this a really nice all around summer wine. The nose was an acidic blast of meat and pepper. It had a medium dark colour. On the mouth there were soft tannins, a low acidity, pepper, and plums. This was another bottle that we purchased. A great example of local Syrah, with a pleasing combination of blackberry and pepper on the palate. This was the third bottle that we purchased. The third most expensive wine on the list. It has some Petit Syrah added. The nose was of redcurrant and chocolate. For a Cab it was surprisingly drinkable now. There were also several sweet wines, which we did not taste. In summary, we were able to try a wide variety of wines. The prices are not reflected in the quality; even the ones we did not like were because the choices of the winemaker did not align with our preferences. 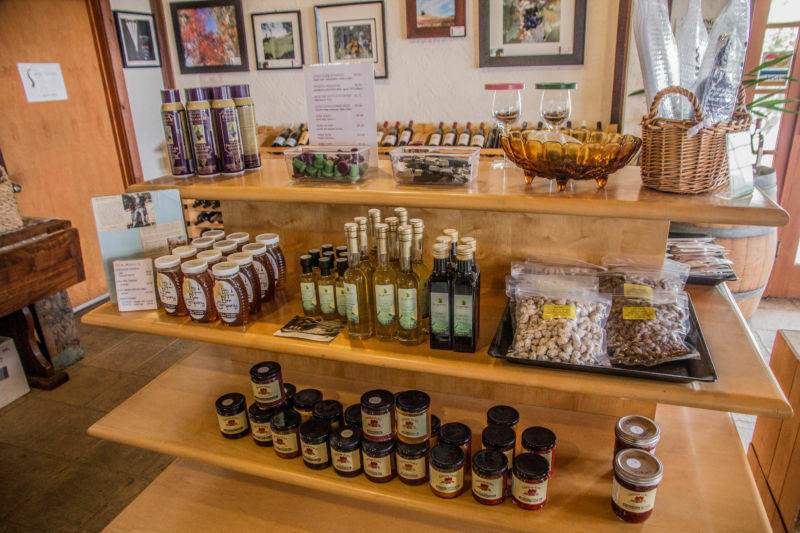 The welcoming host, low cost of tasting, and the wide range of wines make this a place we recommend that you visit; further proof that Suisun Valley should be a stop on every wine-tourists itinerary. California Girl Comments: Just remember, that not all good wine comes from flashy tasting rooms. There are plenty of very modest tasting rooms with amazing wine out there (I am looking at you Madonna Estate and you PlumpJack Winery). Be brave and try them out.